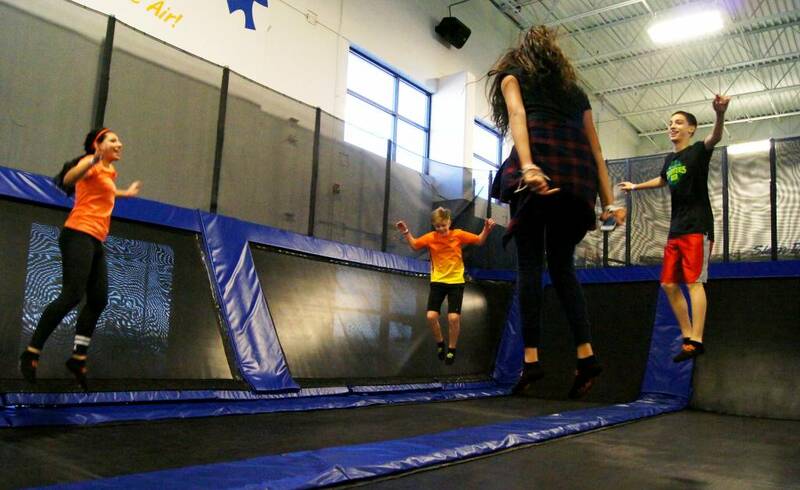 The true EPIC trampolines…60’ of continuous track for anyone over 48" tall to perfect any flip, jump, tumble combo imaginable! What are you waiting for? Come show off your stuff! You may not have anything in your mouth (gum, candy etc.) 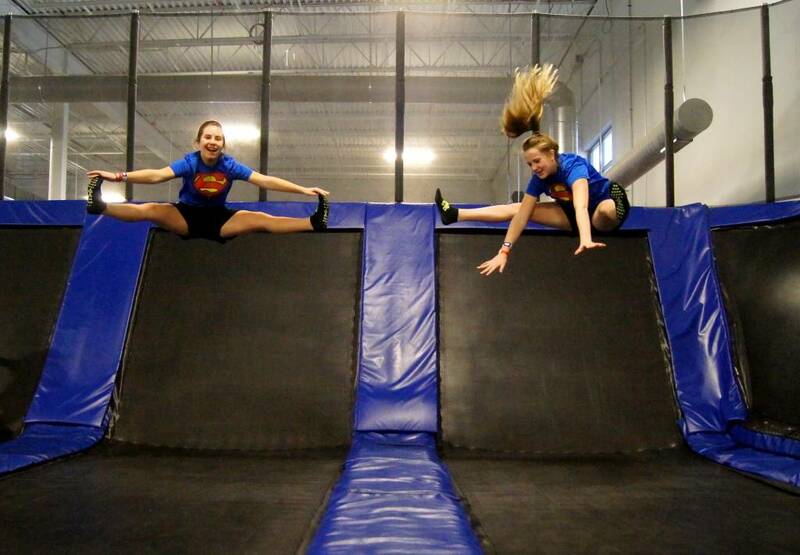 while on any trampoline court. NO jumping, sitting, or standing anywhere on the court or padded areas. NO climbing on walls and touching pads. You can bounce off the sidewalls, but please land on the first trampoline next to the wall you bounced off of. You must be in control of your body at all times. NO rough play, wrestling, running, shoving, or tag. NO flips or tricks over the padding or onto platforms always walk onto platforms. Double bouncing can cause imbalance, please do not double jump. Please wait your turn in a line NO line jumping. Perform skills within your ability bounce at your own risk. 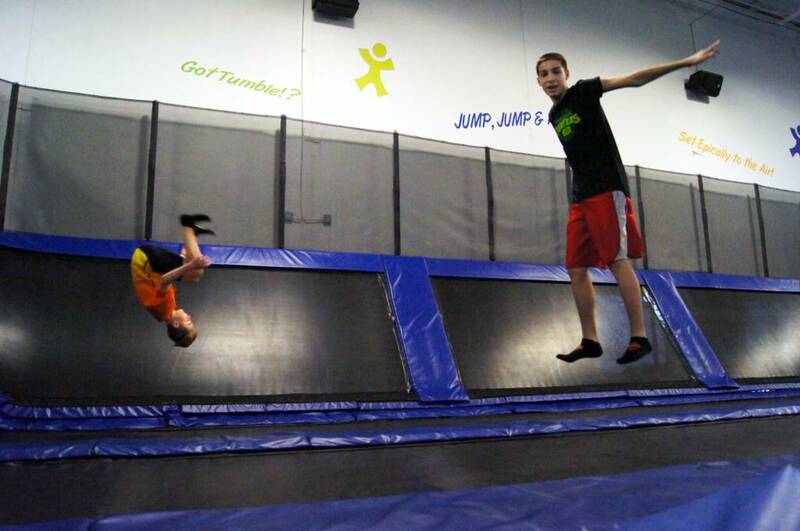 To STOP YOUR BOUNCE flex (bend) your knees as your feet come in contact with the trampoline. NEVER land on pads. MOST OF ALL…Make it an EPIC DAY and thanks for jumping with us! 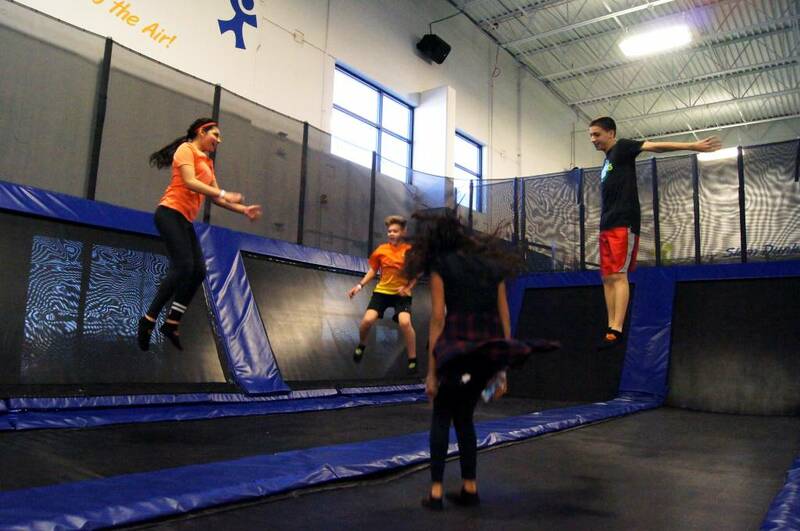 All jumpers are required to have a waiver in order to jump!